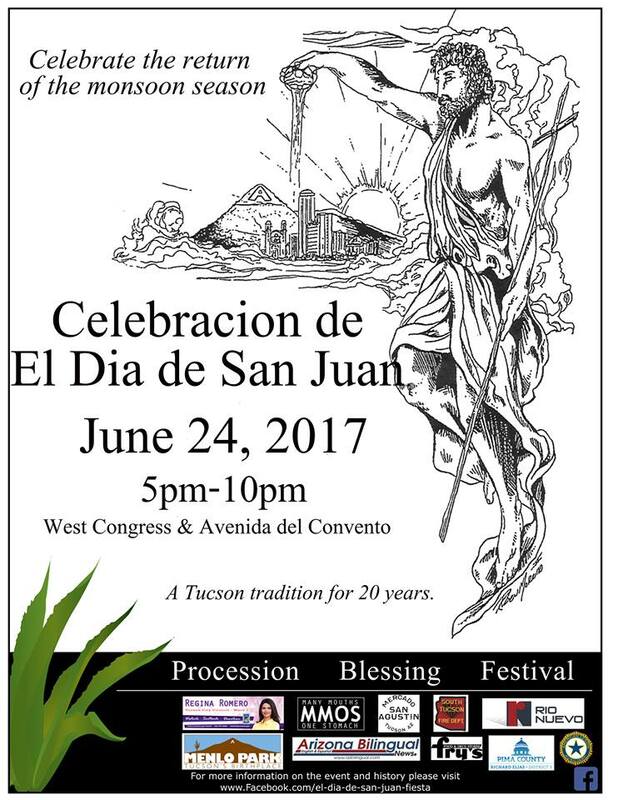 “Join us for the traditional El Dia De San Juan Fiesta! Saturday June 24 at the wonderful Mercado San Agustin! The Procession and Blessing of The Santo will open the event with many of our longtime partners sharing their performances with us, Details TBA. 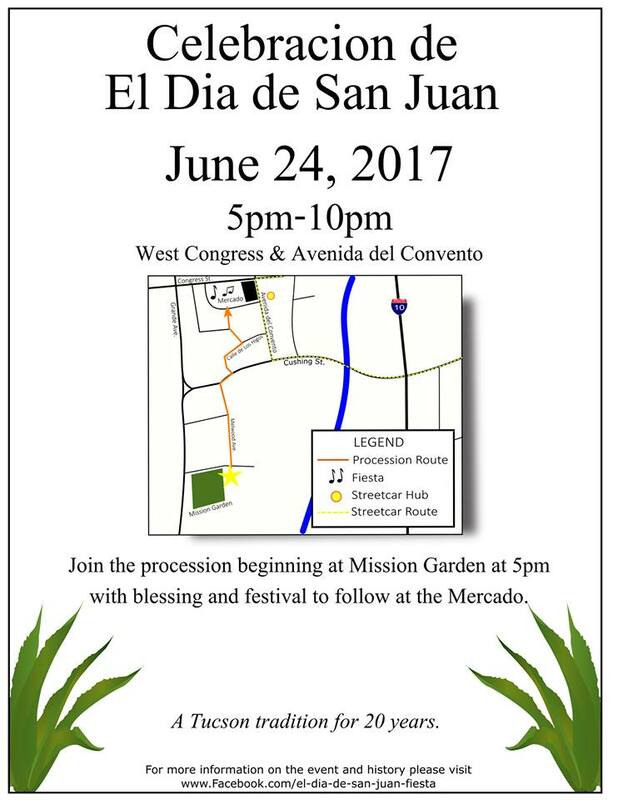 Today — at the Mercado San Agustin, 100 S. Avenida del Convento, west of the I-10. Usually this festival signals the start of the monsoon season in Tucson. Let’s pray for rain.